Location, Location, Location! 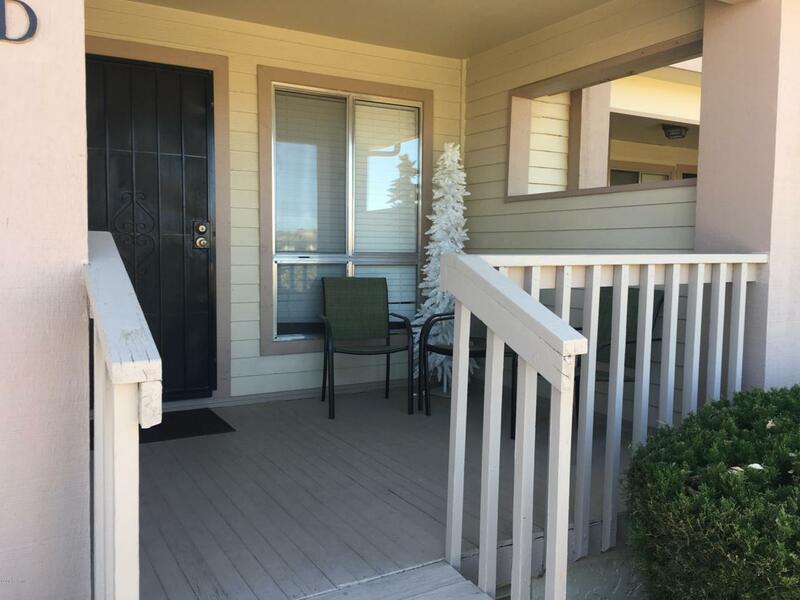 Super nice condo in highly desired Montana Villas. Charming front entry with covered porch to enjoy the monsoons! Open the door to an inviting living room w/angled fireplace. Neutral colors...endless possibilities! Fully appointed kitchen with bar seating and inviting breakfast room w/deck. Split bedroom plan w/2 generous sized bedrooms & 2 full bathrooms! All appliances are included! Covered parking - bonus room for pets or plants. HOA covers outside maintenance (except decks) roof, water, sewer, trash. Convenient to Embry Riddle and Yavapai Regional Medical Center. Priced for quick sale...but better hurry...won't last. Listing provided courtesy of Bonnie Mitchell of Red Arrow Real Estate.